In calling a snap election, British Prime Minister Theresa May argued she wanted to strengthen her hand in the negotiations as the UK leaves the European Union. A more cynical perspective was sheer naked opportunism with a 20-point lead in the opinion polls at that time. Regardless as to which perspective you might believe, the outcome was a disaster. For the second time in three elections, a UK election has resulted in a ‘hung’ Parliament, with Mrs. May’s Conservative Party falling just short of a majority. In normal circumstances, this is unusual. Yet the circumstances here include a prime minister blowing a 20-point lead in the opinion polls in a six-week election campaign. The way both Mrs. May and Jeremy Corbyn, leader of the Labour Party, are acting, anyone might think Labour had won the election and the Conservatives were defeated. The reality is much more complicated. The results across the UK were far from uniform. In Scotland, the Conservative Party made huge gains at the expense of the Scottish National Party, and Labour made gains as well. In Wales, Labour made gains at the expense of the Conservatives. Across England, both Labour and the Conservatives made gains at each others’ expense. To complicate matters even further, both the Conservatives and Labour increased their share of the national vote. The result sees the Conservatives fall 8 seats short of an outright majority in Parliament. Sinn Fein, the Irish nationalist party which won 7 seats in Northern Ireland, does not take their seats in Parliament because they would have to swear an oath of loyalty to the Queen. Removing them from the equation sees the Conservatives falling 4 seats short of a majority. The question is now about where does the UK go from here. As Mrs. May announced her cabinet, which was largely unchanged in personnel from before the election, it appears as if she is trying to carry on business as usual. In the short-term, this is probably the best strategy for the Conservative Party. The problem is they need support to get their legislative program through Parliament. The only party willing to give them any support is the Democratic Unionist Party (DUP). The DUP is the largest party in Northern Ireland. It is a right-wing, devoutly Protestant, socially conservative political party. This is at odds with the far more liberal attitudes of the Conservative Party and of UK society as a whole. In addition, the DUP has links with terrorist organizations which operated in Northern Ireland against nationalist terrorist groups throughout much of the 20th century. Getting into bed with the DUP is not a popular move among many Conservatives in the UK. The next problem for Mrs. May is the negotiations to leave the EU. The election was called primarily on this issue: to strengthen her negotiating position vis-à-vis the EU. The result of the election has done the exact opposite. Mrs. May is seen as a hostage of her own party, as well as being in debt to the DUP. Her negotiating position is far from ideal. So there is a chance that negotiations with the EU do not start — even though the UK is scheduled to leave the EU in March 2019. Worse still, Mrs. May may not get her legislative program (known as the Queen’s Speech) through Parliament. Should this happen, the UK will have to hold another general election. With what is effectively a ‘lame duck’ leader, the Conservative Party may decide to remove Mrs. May. The problem then arises as to who might be her successor and the dearth of talent in the party. Arguably, there are three potential candidates, all of whom are vociferously denying any interest in the job, while giving their support to Mrs. May. These candidates are Boris Johnson (Foreign Secretary), Amber Rudd (Home Secretary) and Michael Gove (Environment Secretary). Mr. Johnson is, by far, the best-known politician in the UK. He presents himself as an eccentric buffoon. In reality, he is a very sharp political operator who has cultivated the eccentric image. Lack of support in the party seems to be his problem. Many Conservative MPs see him as being too self-interested, with a very short attention span. Mrs. Rudd, on the other hand, was one of the few Conservative MPs to cover herself in some glory during the election campaign. She presented the image of having a safe pair of hands. Her problem is that she only just clung on to her parliamentary constituency, with a majority of just over 300. Finally, there is Mr. Gove, who has just rejoined the cabinet. As Education Secretary in the Coalition Government 2010-15, he was, arguably, the most despised member because of his phenomenally poor relationship with the teaching profession and his reforms to the English education system. Added to this, Mr. Gove led the Brexit campaign in 2016 despite the allegation of giving a commitment to the then-Prime Minister, David Cameron, that he would not play a prominent role in the Brexit campaign. While all of this is going on in the Conservative Party, for the first time since 2015 the Labour Party looks remarkably calm and unified. Ever since Mr. Corbyn was elected leader of the party, many Labour MPs have run a campaign to unseat him. Even the calling of a second leadership election failed. 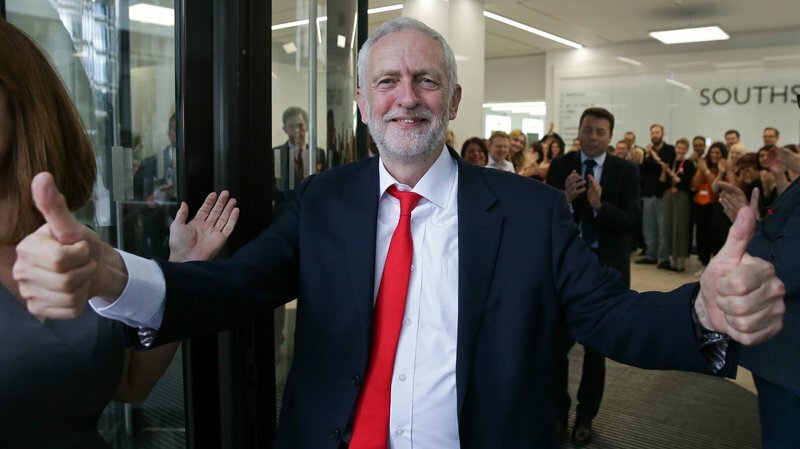 With Labour winning over 40 percent of the total votes cast in the general election (compared to 42 percent for the Conservatives), Mr. Corbyn’s position is safe. The Labour Party has the opportunity to present itself as a credible government-in-waiting. With the Conservatives in such disarray, there is a possibility of another general election within the next year. The vast majority of pundits are of the opinion Mr. Corbyn would win that election! In sum, Mrs. May is trying to act as if the general election did not happen. To use the words of the former-Chancellor of the Exchequer, George Osborne, she is a “dead woman walking.” In his opinion, she will not be in post for long. The knock-on effect of that uncertainty will feed into the Brexit negotiations. The only good news here for the UK is these negotiations may be put on hold until after the German elections in September. There is a strong likelihood of another UK general election in October. 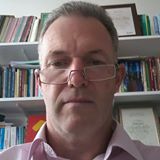 Alistair Jones is the Principal Lecturer in the Department of Politics and Public Policy at De Montfort University.